EDINBURG — UTRGV volleyball senior Alexandra Ecker broke the program record for total blocks in a career in a 3-0 (25-15, 25-22, 25-19) sweep of Texas A&M-Corpus Christi on Tuesday at the UTRGV Fieldhouse. Ecker finished with a pair of blocks to push her total to 343, which surpassed Haley Durham (341, 2012-15) to set the record. Ecker also pushed her program record in block assists to 311. Junior Barbara Silva led the way for UTRGV (7-4) with her third straight double-double after posting a match-high 15 kills and 10 digs. Senior Ragni Steen Knudsen recorded 11 kills with eight digs, while senior Gysell Zayas had a match-high 25 digs. Senior Dubravka Vukoja paced the offense with a match-high 39 assists. Corpus Christi’s Madison Green had seven kills, eight digs and 23 assists for the Islanders (1-9). Jenna Krenk had a team-high 15 digs to pace the offense. The win and the attendance point extends UTRGV’s lead in the South Texas Showdown to 8.5 points to 1.5 points. UTRGV and Corpus Christi went back-and-forth in the first set, as a kill by Knudsen gave UTRGV the 9-8 lead before Sam Dumity tied it with a kill of her own. UTRGV answered with seven straight points to take the 16-9 lead and cruised to the first-set win. The second set included 15 ties and three lead changes. Vukoja gave UTRGV the 10-8 advantage with an ace before Corpus Christi battled back to tie the match. 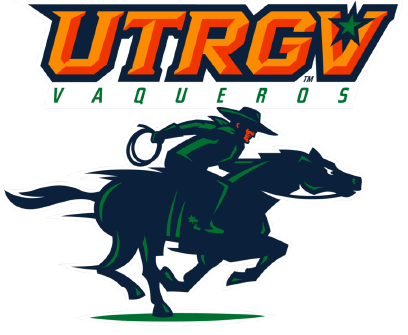 The teams alternated the next nine points, then UTRGV took the 16-14 lead on a Corpus Christi error. UTRGV earned its biggest lead of the set at 24-20 on an ace by Silva. The third set remained close early on as UTRGV led 9-7 after a kill by Knudsen. UTRGV then went on an 8-4 run to push its lead to 17-11 on a kill by senior Antonela Jularic. Later in the set, Knudsen made it 20-14 to put the set out of reach. UTRGV will be back in action on Friday when it hosts the UTRGV Tournament. UTRGV will face Texas Southern at 1:30 p.m. and Texas Tech at 7 p.m. at the UTRGV Fieldhouse. The next showdown event will take place on Sept. 21, when men’s and women’s cross country compete in Corpus Christi.